Mobile video sharing apps are sprouting like crazy across the social media landscape, especially a new type designed to help people make and share short movies shot on cell phones. Most of these mobile video apps are designed to help people get more out of their phone's video camera. Below in this review you will find an app, ‘videmic offline video sharing’. 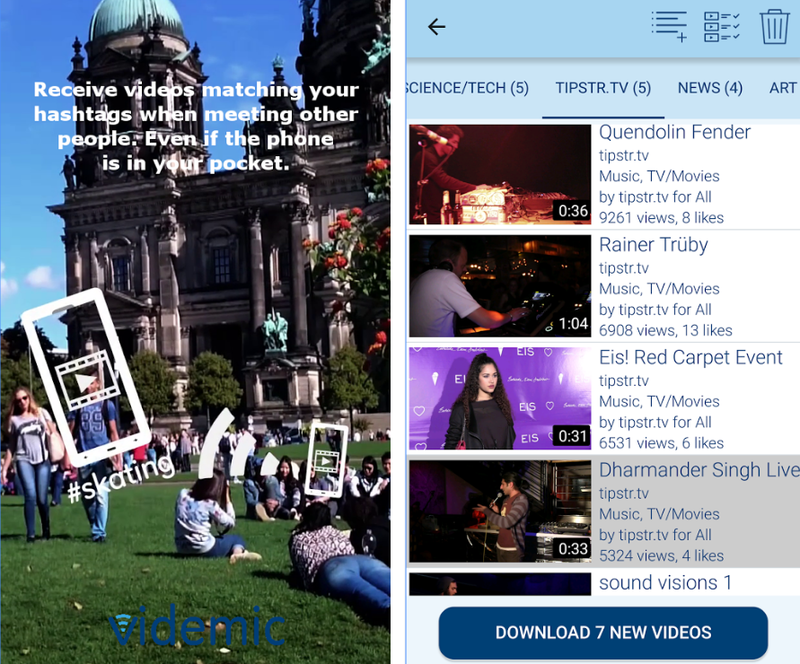 Videmic is an app that can turn smartphone users into mobile movie moguls by helping them share footage shot on their phones onto a mobile video social network. With videmic, users can record, play and share hd videos everywhere, especially at mass events such as music festivals, sporting events or events at the Brandenburg Gate, where many people meet and the mobile network is often overloaded. Further application scenarios form places like in the ICE or in the mountains, where there is often no mobile radio reception. Videmic integrates closely with Facebook. This means, videmic users can also share videos with their friends in Facebook. For each video, videmic shows the number of views and likes received in videmic and in Facebook. The transfer of video files runs automatically with videmic in the background, i.e. even if users carry their smartphone in their pockets and the videmic app is closed. 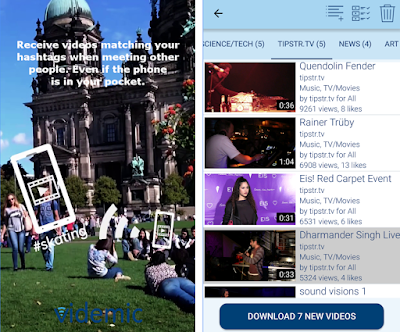 Therefore, videmic can spread videos virally: as soon as videmic users meet other people with the videmic app and matching interests, the corresponding videos are transmitted. With user interaction, but without costs for mobile communications and much faster than sharing hd videos with Bluetooth technology. With each video shared through the app, Videmic goes beyond YouTube. So do not think too much guys! Download it free for your Android and join the fast growing adhoc video network. Great new updates come with the new version of Videmic. Now users can add Video recommendations for download. Users can also subscribe to channels of your stars and download their videos for watching them with the Videmic offline video player. It still remains one of the best offline video players.